If your looking for a property to use as a holiday rental, we can reveal that the location that will offer the best return on investment (ROI) is Kissimmee. Our research has looked closely at the top tourist destinations across the globe over the past 2 years and those which are expected to remain popular. With this information, we have reviewed the costs of purchasing a property at each location, and compared to the rental income it will provide. Specifically, we have compared the cost to buy an average 90m² property in each destination with its annual rental potential. Heading the list with an impressive 26.02% ROI was Florida’s Theme Park Central – Kissimmee. This destination is renowned for being a leading tourist destination in the United States, with great weather all year round. Investors could enjoy a potential return of over £30,000 each year. Coming in second, affordable property purchase prices and high holiday home rental yields make the cosmopolitan city of Barcelona an excellent choice if you’re looking to purchase your own holiday home, whilst also renting it out to generate additional income. Investors can look at the potential to earn almost £38,000 once annual costs have been deducted. Based on an average 90m² holiday home priced at around £173,000, the average ROI in Barcelona was calculated at 18.78%. What about property prices going forward? Our research also established that house prices in the Kissimmee, Florida, an area which we now know presents the best ROI, have averaged at between $160,000 and $199,000 over the past 3 years. Forecasts show that this rate will continue to increase, making it a great potential investment for the future while property prices remain comparatively low. It’s not surprising to see that Kissimmee tops the list of best return on investment property areas considering the climate and attractions. It’s a hugely popular vacation destination for people around the world, even during the low season, meaning the demand for holiday homes is high, pushing rental prices higher, but property prices still remain low following the recession. While these areas may be the best statistically for return on investment for holiday homes, it’s always worth taking it with a pinch of salt – just because the stats say it’s a good investment, you also need to look at other factors to maximise your return, including the precise location of the home and the potential to increase revenue. Properties that hold poor ROI can increase the number of weeks the property is rented by simply investing in marketing and the amenities, giving you the opportunity to retrieve back more money on the original investment. For ease of access and year-round demand, finding the perfect holiday home in Cornwall or the Lake District could well be a shrewd investment, both for rental yields as well as capital appreciation. 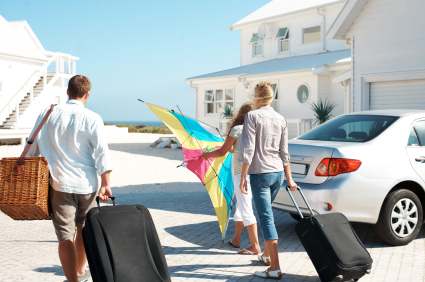 If you are looking to buy a holiday home then here are 50 tips you must read. *These results took into account the below annual deductions for each location, not including tax liabilities in the UK and the country where the properties are situated.